Android has a vast number of applications; they also have a good collection of free games with good graphics and intriguing design which keep the players hooked to the screen. These are the top 7 games that come free on all Android Phones. In fact for some people these games also play an important role when they are purchasing a Smartphone. So enjoy the Freemium Androids games and don’t stop playing. This is one of the most popular and favourite car racing games right now. This game is developed by Game loft; it has gone through various upgrades since its inception in August 2013.The game has some incredibly polished graphics. There are some new features in the game which concentrate more on Standard jumps, all jumps earn Nitro Boost. It has another new feature called the “Perfect Nitro” which has replaced the “Adrenaline Mode”, in this feature when the player presses the boost icon there is a small red zone that appears in the boost bar. If the player hits the boost button again while the same is in the red zone, the car accelerates even more and this lasts till the player runs out of boost, brakes or crashes the car. This game is a must for the car racing fanatics out there. The soundtrack and the improvised graphics will definitely enhance your adrenaline journey through the game. It is a zombie apocalypse themed game. It is on a first person shooter basis, it is a free movement shooter. The game features a progression system with unlocking various places, upgrading weapons and various story based encounters with zombies. They also have a currency system and all upgrades are done with the help of the currency system. The main objective of the game being termination of zombies. These zombies come in two types Standard zombies and Special zombies. These special zombies are the cash banks for the player. The player carries two weapons, one melee weapon and consumables which include health pill, grenades and others. If you like to play a game with a high quality shooter then this the best in the free market. 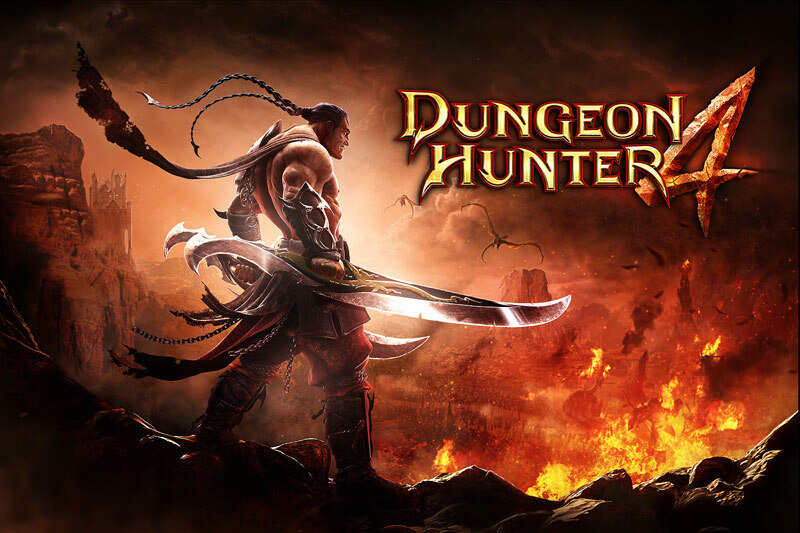 Game loft’s Dungeon Hunter 4 is a free fantasy game. It is a treat for the fans of Hack n slash and the RPG saga. 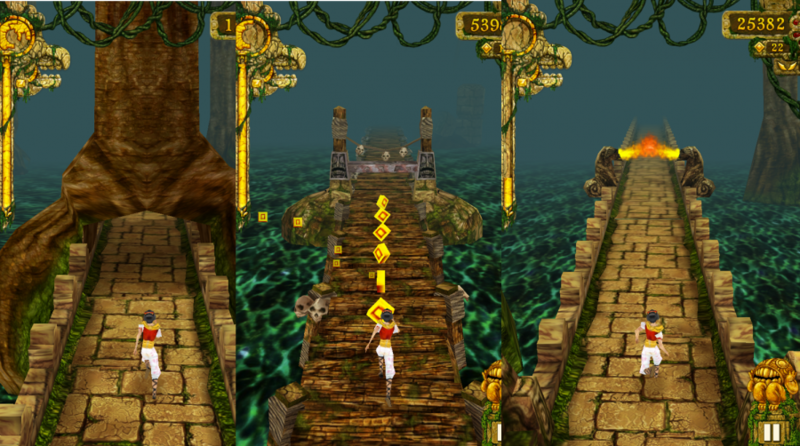 The game has good graphics and features a storyline which keeps the players engrossed in the game. With all this hacking and slashing of demons one can also collect a lot of loot and gear through the course of the game. The player can choose from 4 different warriors who have their own unique combat styles, can upgrade the warriors, customise the gears and unfold the enigma surrounding your warriors. This game is a must for gamers who crave for dark fantasy. This game is about space combat. They have some amazing graphics with an intriguing story line. It is an unparalleled outer space adventure. Some of the features include customizable space ships with 3D soundtrack and full voice acting. The game includes the search for space pirates, eliminating the devious aliens and hunting down Power mad men to save the galaxy. The game also has a community feature where one can share their gaming experiences across the globe with Galaxy on Fire2 fans through their website. This is an acclaimed mobile franchise. It has been nominated for multiple interactive achievement awards. 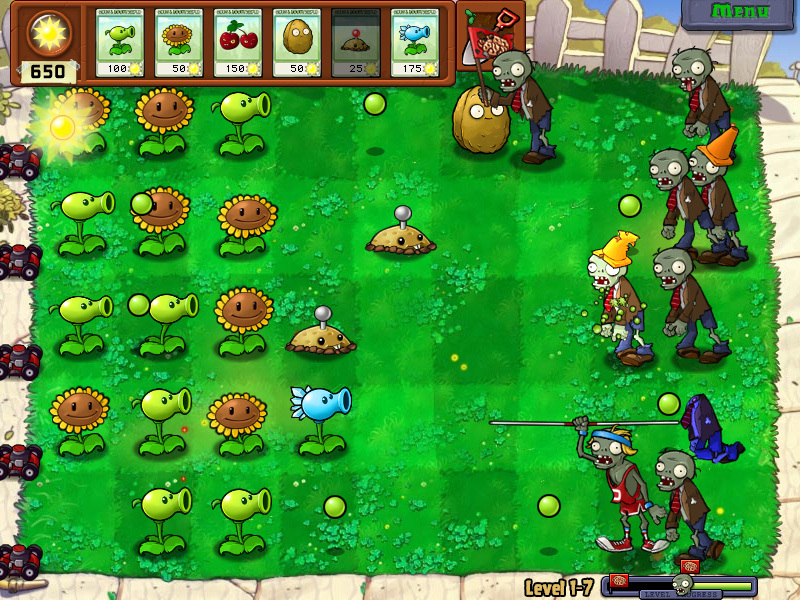 The game is in stages where the player needs to protect his garden from a hoard of zombies, the garden has plants and fungi each with their own defensive capabilities. The game has stages, and with every stage the zombies become smarter and smarter. The game starts with the player defending his backyard and progresses to night time levels where it is more challenging. This game has been kept simple as well as strategic. It has received positive reviews from critics and was picked up by Gamezebo as one of the Best games of 2009. This game is extremely colourful, though the graphics are not very enhanced when compared with the other zombie games, but here the undead are rather cute and funny. This game is rather morbid where the player has to create a virus from that of a modest cough , designed to create a global outbreak which leads to annihilation. It is a deadly virus simulation game where the player gets to unlock new types of diseases with their unique traits through the course of the game. Though it is dark but it is also highly infectious (as a Game). By far the most popular game wherein with just a swipe of the finger the player needs to ensure that he is far ahead from the demonic monkeys, overcome obstacles in the way and at the same time collect coins to increase the points. This game is quite addictive and extremely simple to play. This game defines relativity between simplicity and fun. Although games are fun and good for killing boredom but they are also the reason your phone's battery may drain faster than usual. Keep your smartphone's battery juiced with Ravin Power Banks. The Ep - 02001 is a compact, light weight and portable power bank with a battery capacity of 2000 MAH that can charge your smartphone up to 2 times. This trendy and uber is a must have mobile accessory.